We expect to open our hilltop tasting room, vineyards and gardens to the public in the May/June of 2019. It is our passion to create extraordinary wines that reflect the unique terroir and beauty of our Estate vineyards. 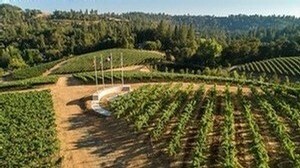 Our entire team is not only committed to making exceptional small lot wines but equally dedicated to providing unparalleled guest experiences for the quintessential and unique wine country experience. This property, vineyards and wines are truly special. We hope you’ll fall in love as we have and join us in experiencing wine in a completely new way. We invite you to navigate our award winning portfolio while you drink in the spectacular views! 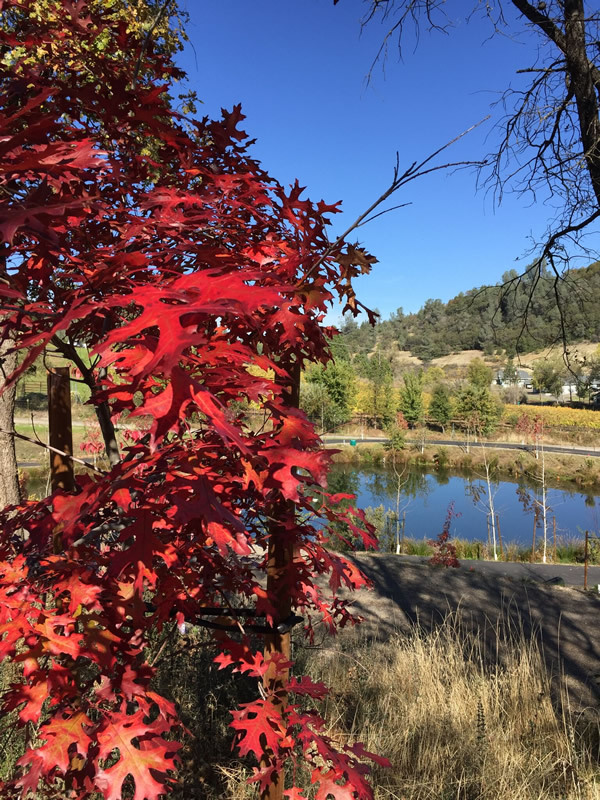 Tucked away in the beautiful Sierra Foothills, Starfield Vineyards is a unique terroir perfect for specializing in Mediterranean varietals. We offer a wonderful selection of tastings and tours, each designed to delight your senses in an unforgettable wine country experience. Our friendly, knowledgeable Tasting Room Hosts will guide you through an array of award winning wines and experiences all while enjoying the magnificent vineyard views and Sierra vistas. To ensure a seamless experience, we do require reservations for all groups of 8 or more. Visit our hilltop tasting room for a classic wine tasting adventure! This casual tasting environment is hosted inside at our new tasting room bar. We offer a diverse selection of wines and an array of flights for all palates to enjoy! Offered daily till close. Reservations are required for groups of 8 or more. Members are invited to enjoy one of their many membership privileges with our exclusive Lake Pavilion experience. 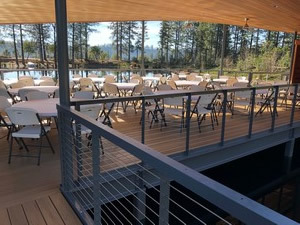 Our Members and their guests are invited to relax and enjoy full table service in our beautiful Lake Pavilion overlooking exquisite views of the endless vineyard-covered hills of Sierra Foothills wine country. Offered Friday – Sunday. Reservations recommended. Discover our commitment to quality! Enjoy a fully guided 90 minute vineyard tour and tasting that explores the entire vine to wine process and how wine-making starts in the vineyard! We invite you to travel through our vineyards via our vineyard shuttle while a knowledgeable Winery Host guides you through this unique and intimate experience. Available by appointment only. 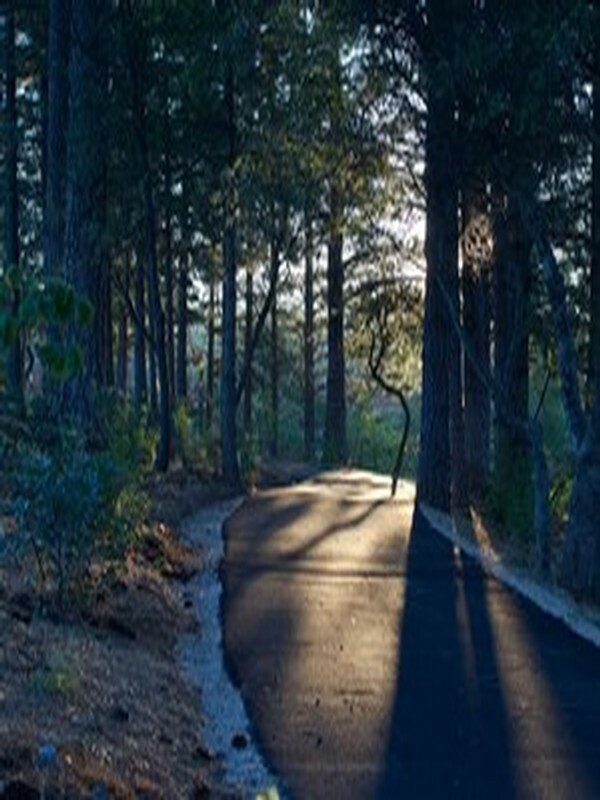 Minimum of 4 guests required..
Winding through our hillside vineyards our three miles of dog-friendly walking trails, shaded by towering Ponderosa pines, as well as hundreds of azaleas, rhododendrons, hydrangeas, dogwoods, aspen, maples and scarlet oaks to delight your senses. We also have one of the world’s longest rose arbors, plus two ponds, and Starfield Lake with its dramatic Lake Pavilion, which rests just below the Mountain Amphitheater where we host music events.